"We don't have a scale quite big enough." A bear in Alaska is now famous - and he probably has no idea why. 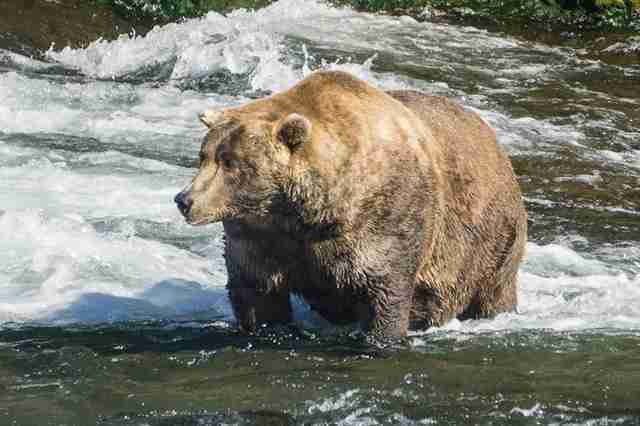 This week the Katmai National Park Service declared a brown bear named Otis to be the fattest bear caught on camera. The park decided with a Facebook competition after allowing visitors to vote on a series of photos of some of its resident bears. Otis's actual weight, however, remains a mystery. "We don't have a scale quite big enough," Anela Ramos, a representative for the Katmai National Park, told The Dodo about the roughly 20-year-old bear. "But we estimate about 1,000 pounds, give or take." The average weight for a male brown bear is around 700 pounds. Besides being decidedly plump, Otis has one floppy ear and a distinctive dark blonde coat. He's also missing two front teeth. "That makes it really impressive that he's been able to eat so much salmon," Ramos said. "We all know how difficult it is to eat after going to the doctor and getting some teeth pulled!" 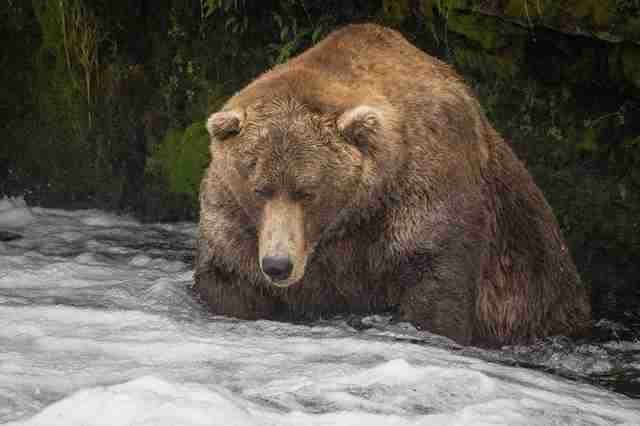 Otis lives in the Brooks River region of the Katmai National Park and Preserve, but in the summer, he stays in one spot - a section in the river perfect for salmon fishing. "We call it 'his office' or 'Otis's office,'" Ramos said. "He patiently waits for fish to come up to him, and he's so diligent that he actually sleeps in his office while fishing. He's one of the bears people can watch regularly on the bear cam." "Otis may not be the most dominant or lively bear around, but he is the fattest," the park wrote in a Facebook post. Otis's physique is certainly a sight to behold, but his weight also signals a healthy ecosystem. "Seeing big fat healthy bears is an indicator of a healthy environment," Ramos said. "If we were to see them emaciated, then there's something wrong with the system." While Otis might be living a healthy life, global bear populations are in decline. In fact, some reports claim that certain types of brown bears occupy as little as 2 percent of their former ranges. Primary threats include mining, logging and road construction, although trophy hunting plays a part as well. In Asia, bears are targeted for their paws, bladders and bile, which are used in Chinese medicine. 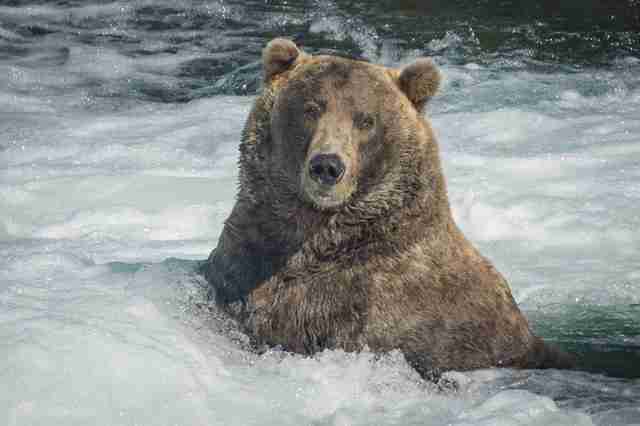 Katmai National Park has a population of about 2,000 bears including Otis. Here's hoping that all of them are as fat and healthy as he is!